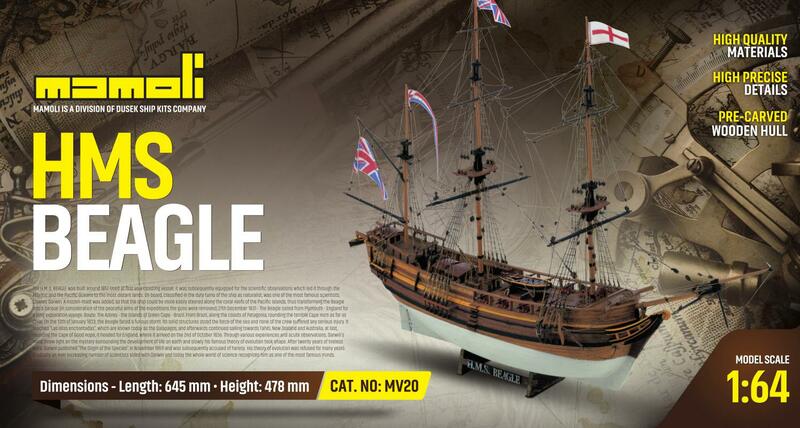 The H.M. S. BEAGLE was built around 1817 Used at first as a coasting vessel, it was subsequently equipped for the scientific observations which led it through the Atlantic and the Pacific Oceans to the most distant lands. On board, classified in the duty turns of the ship as naturalist, was one of the most famous scientists, Charles Darwin. 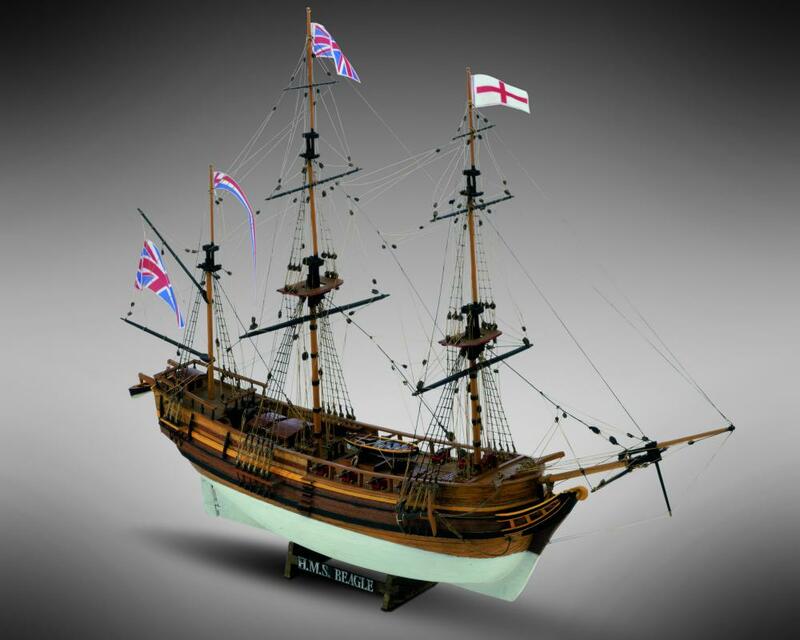 A mizzen-mast was added, so that the ship could be more easily steered along the coral-reefs of the Pacific islands, thus transforming the Beagle into a barque (in consideration of the peaceful aims of the expeditions the guns were removed). reached 'Las islas enchantadas', which are known today as the Galapagos, and afterwards continued sailing towards Tahiti, New Zealand and Australia; at last, rounding the Cape of Good Hope, it headed for England, where it arrived on the 2nd of October 1836.